Joseph Sale’s collection ‘Unconstructed Constellations’, is a mix of dark myth, tragic legend, and forboding prophecy. Featuring a combination of ‘free-verse’ and reworked classical forms including the sonnet, the villanelle, and the ballad, Joseph has created a collection that unveils the sunken state of humanity whilst showing flashes of its immortal brilliance. ‘Unconstructed Constellations’ is an emotional, spiritual, and observational concoction, a cornucopia of the fantastical, the real, the past, and the predicted: all of it designed as a mirror to the human condition. The son is the image of the father and this is true in more than a biological sense: where there is true affinity the interests, the emotions and the very spirits align. To say the ‘image’ is to use a word germane to poetry: the image, the imagination, and the point of creation itself. 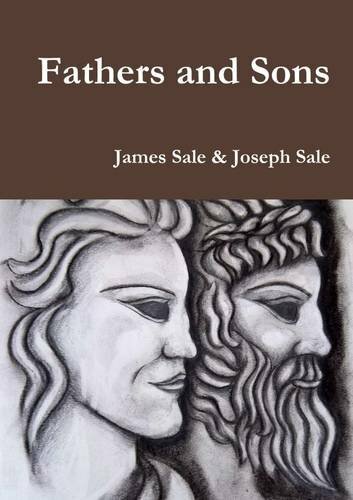 This collection features poems from Joseph Sale and also his father James, all about the nature of our family and parental relations.